We conducted a systematic review and meta-analysis to compare the clinical outcomes of percutaneous endoscopic lumbar discectomy (PELD) and microendoscopic discectomy (MED) for the treatment of lumbar disc herniation (LDH), and to clarify whether PELD is more superior to MED. We performed a comprehensive search in the databases of MEDLINE, EMBASE, PubMed, Web of Science, Cochrane database, CNKI, and Wanfang Data to acquire all relevant studies up to July 2018. The searched literatures were then screened according to the strict inclusion and exclusion criteria. The critical data were extracted and analyzed utilizing Review Manager software. The pooled effects were calculated by mean difference (MD) or odds ratio (OR) with 95% confidence intervals (CI) on the basis of data attributes. A total of 18 studies (2161 patients, 1093 in the PELD group and 1068 in the MED group) were included in this systematic review and meta-analysis. At last follow-up, the results revealed that no significant difference was found between PELD group and MED group with respect to ODI (MD − 0.30; 95% CI − 1.02 to 0.42; P = 0.41), VAS-leg pain (MD − 0.18; 95% CI − 0.45 to 0.09; P = 0.19), VAS-unspecified (MD − 0.00; 95% CI − 0.05 to 0.04; P = 0.94), excellent & good rate (OR, 1.04; 95% CI 0.68 to 1.59; P = 0.86), total complication rate (OR, 0.96; 95% CI 0.65 to 1.43; P = 0.85), dural tear rate (OR, 0.39; 95% CI 0.10 to 1.55; P = 0.18), and residue or recurrence rate (OR, 2.22; 95% CI 1.02 to 4.83; P = 0.05). When compared to MED group, the PELD group showed significantly better results with regard to shorter length of incision (MD − 1.18; 95% CI − 1.39 to − 0.97; P < 0.00001), less blood loss (MD − 45.17; 95% CI − 64.74 to − 25.60; P < 0.00001), shorter post-operative in-bed time (MD − 59.11; 95% CI − 71.19 to − 47.04; P < 0.00001), shorter post-operative hospital stay (MD − 3.07; 95% CI − 4.81 to − 1.33; P < 0.00001), shorter total hospital stay (MD − 2.29; 95% CI − 3.03 to − 1.55; P < 0.00001), and lower VAS-back pain at last follow-up (MD − 0.77; 95% CI − 1.31 to − 0.24; P = 0.005), but with significantly worse results such as more fluoroscopy (MD 7.63; 95% CI 5.25 to 10.01; P < 0.00001) and higher re-operation rate (OR, 2.67; 95% CI 1.07 to 6.67; P = 0.04). Although no significant difference was found between the two groups in terms of duration of operation (MD 6.27; 95% CI − 2.44 to 14.98; P = 0.16) and total hospital cost (MD − 0.69; 95% CI − 12.60 to 11.23; P = 0.91), further subgroup analysis revealed that the duration of operation was significantly longer in the PELD group compared with the MED group in “Years before 2016” (MD 24.97; 95% CI 7.07 to 42.87; P = 0.006) and “Year 2016 to 2017” (MD 6.57; 95% CI 0.58 to 12.55; P = 0.03) subgroups but not in the subgroup “Year 2018” (MD − 5.66; 95% CI − 18.84 to 7.53; P = 0.40), and that the total hospital cost was significantly more in the PELD group compared with the MED group in the subgroup “Southeast of China” (MD 6.67; 95% CI 3.23 to 10.28; P = 0.0002) but not in the subgroup “Midwest of China” (MD − 8.09; 95% CI − 17.99 to 1.80; P = 0.11). For the treatment of LDH, both of PELD and MED can reach excellent results and no superiority was found between the two minimally invasive procedures with regard to duration of operation, ODI, VAS-leg pain, VAS-unspecified, excellent & good rate, total complication rate, dural tear rate, and residue or recurrence rate. 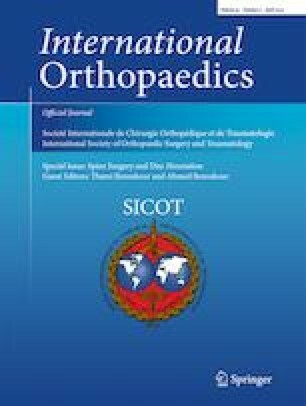 While PELD can achieve better outcomes with respect to the length of incision, blood loss, post-operative in-bed time, post-operative hospital stay, total hospital stay, and VAS-back pain at last follow-up, however, MED showed certain advantages of less fluoroscopic times and lower re-operation rate. More practice and development are needed to make up for the deficiencies of PELD. Besides, the economic factor should also be considered according to different regions before making the treatment strategies. Well-defined randomized controlled trials with large samples are needed to further confirm these results. The online version of this article ( https://doi.org/10.1007/s00264-018-4253-8) contains supplementary material, which is available to authorized users. We would like to thank Dr. Chao Hu (The First Affiliated Hospital of Zhejiang University) and Dr. Jing-Jing Deng (Suzhou Center for Disease Control and Prevention) for their great help on the methodology. We also thank Dr. Sundar Karki (Medical School, Southeast University) for his great contribution on the language checking in this document. This work was supported by grants from the National Natural Science Foundation of China (Grant Nos. 81702201, 81702203, 81572190, and 81572170) and the Natural Science Foundation of Jiangsu Province (CN): Grant No. BK20170701.